Muscle Martini is a unique supplement designed to be taken throughout your workout to reduce fatigue and enhance energy levels. This product works to reduce and can prevent the catabolic effect in the body. This means that it aims at reducing the rate at which your muscles are breaking down to be used as fuel for energy. This supplement does such a good job of this because of its new ingredient Spectra Total Ora FN which contains 30 fruit, vegetable, and herb concentrates and extracts. Furthermore, it also contains a blend of Essential Amino Acids and BCAA’s which aim at increasing muscle recovery and enhance muscle gains. This product also eliminates free radicals which can potentially cause harm to the body and overall health. Muscle Martini is a product your muscles will thank you for! EAA’s This product is classed as an Essential Amino Acids blend. 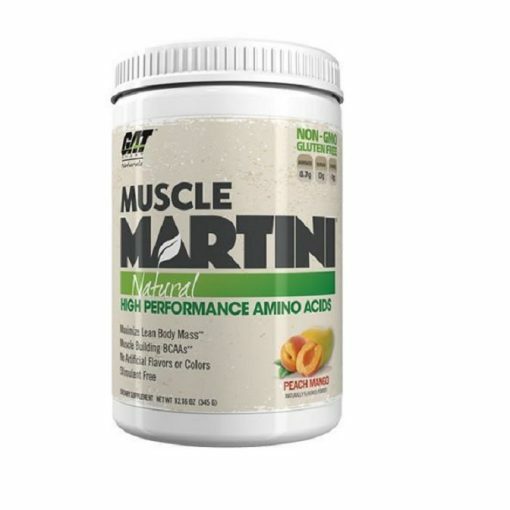 It is designed to help athletes develop muscle and can be used as a substitute for whey protein or any protein. This product allows 99% of the essential amino acids it contains to be synthesised with muscle tissue. 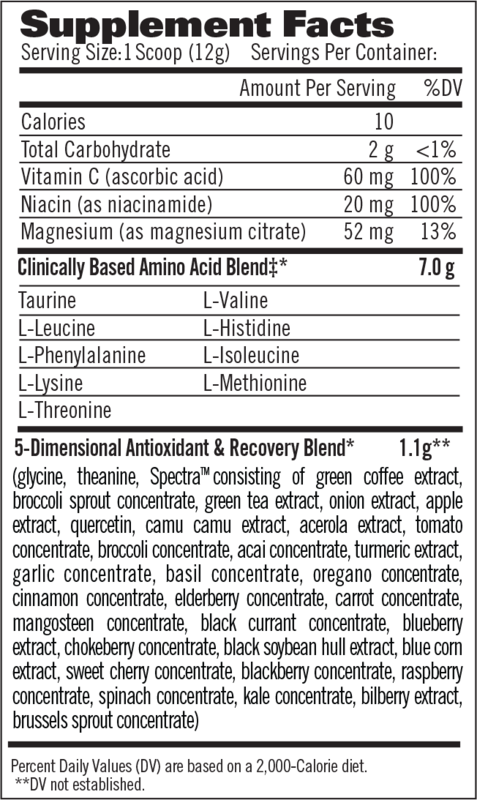 Anti-oxidant Recovery matrix This product contains multiple types of greens, please see nutritional label for comprehensive listing. Use 1 (one) scoop in 600mL of water “during” the workout (intra-workout) and anytime throughout the day when required for extra recovery. To maximise results, this product can be used additionally before workout and post workout training to increase muscle recovery time.